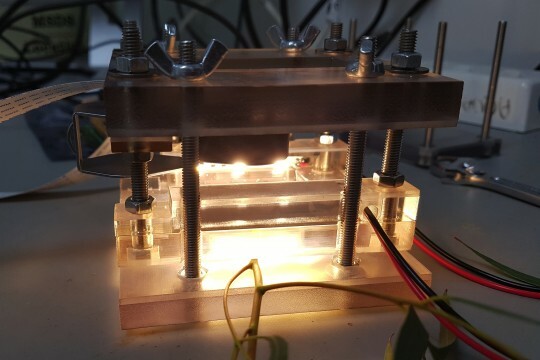 Preservation of root integrity means that roots can continue to supply water for the regeneration of drought-damaged aerial tissues after post-drought rain. 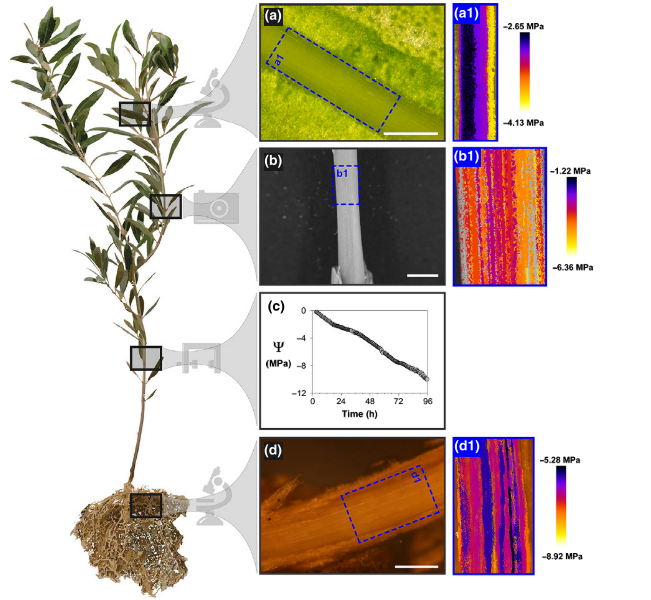 Furthermore, coordinated variation in vulnerability between leaf, stem and root in olive plants suggests a strong selective pressure to maintain a fixed order of cavitation during drought. Rodriguez-Dominguez CM, Carins Murphy MR, Lucani C, Brodribb TJ (2018) Mapping xylem failure in disparate organs of whole plants reveals extreme resistance in olive roots. New Phytologist. Eucalyptus Regnans P50 ~2.5MPa. A selection of images from the full sequence.